Credit cards on phone orders or in person only, not online. 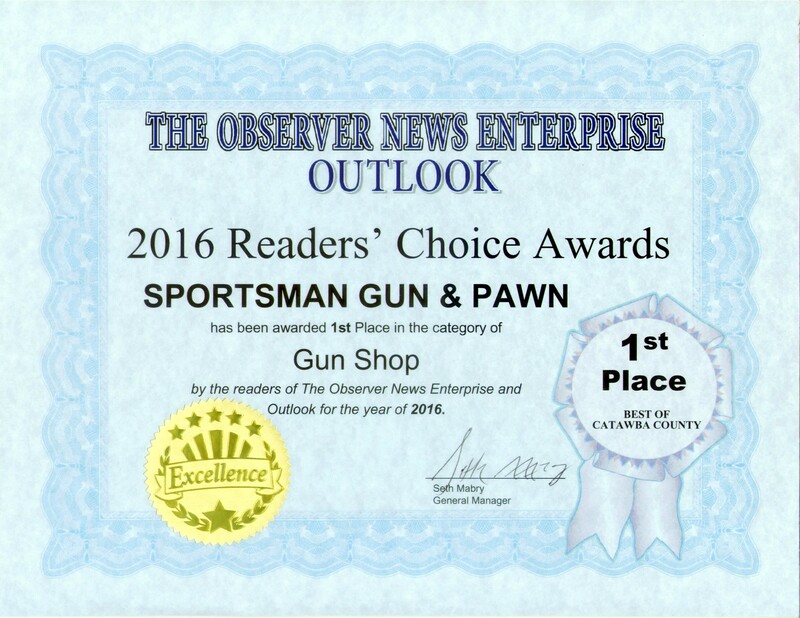 Thank you for voting for us again! Thank you for making us the Best again in 2018! 90 Day Layaway available now. Check out our sale items. 35% off on select hand tools, power tools, air tools, fishing gear, musical instruments, games, and much more. THANK YOU!! 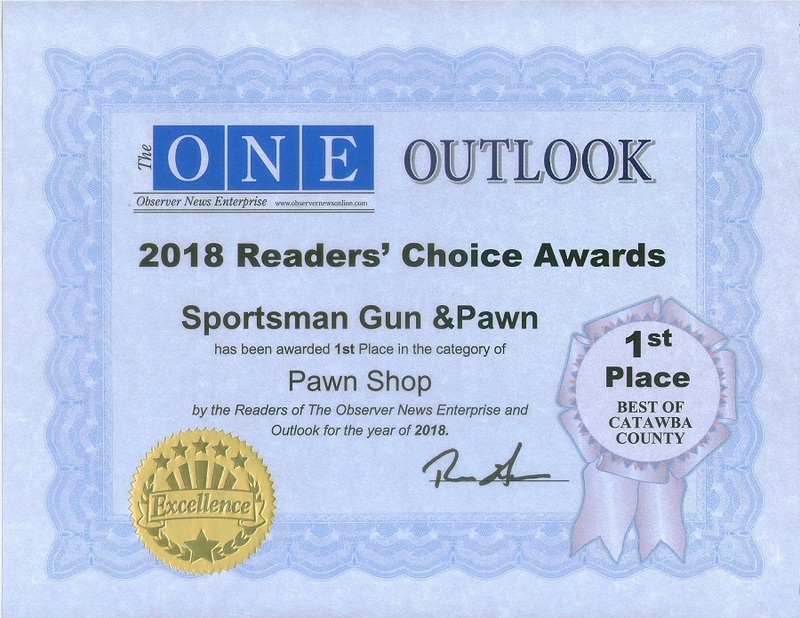 to everyone who made us the 2018 Reader's Choice #1 Pawn Shop and #1 Gun Shop in Catawba County, NC! US Mint Proof Sets now in stock. 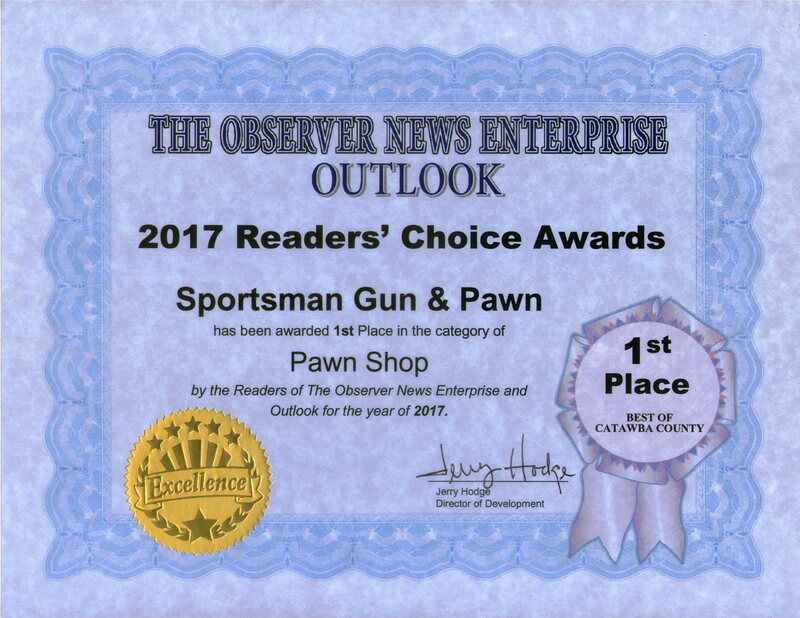 We are your choice for firearms, shooting accessories, coins, and collectibles, as well as other unclaimed pawn merchandise. 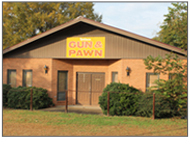 We also offer prompt, professional, courteous, and confidential pawn loans on items of value. 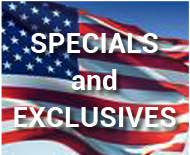 We do layaways, transfers, special orders,and more. Click on "Services" for more information. 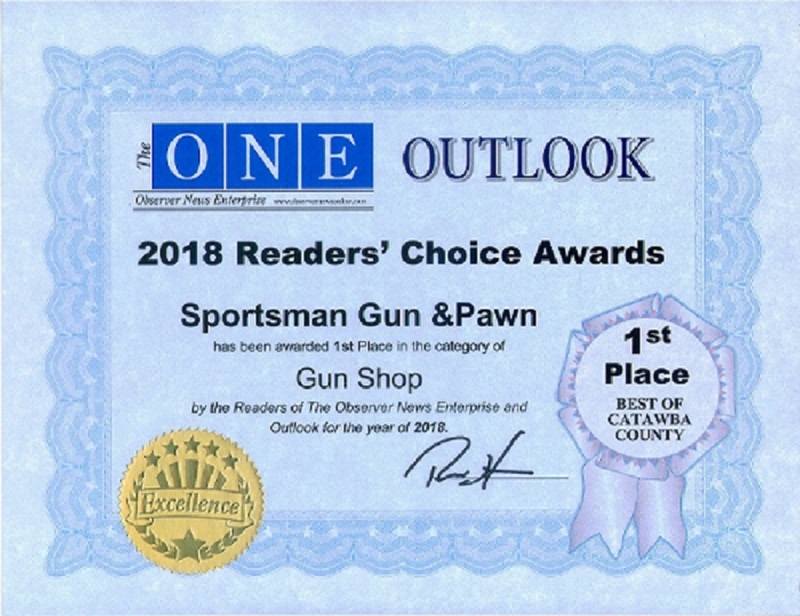 We have the largest selection of firearms, ammo, and related accessories; including both new and used long guns and hand guns in the Newton, Hickory, Catawba County, NC area. 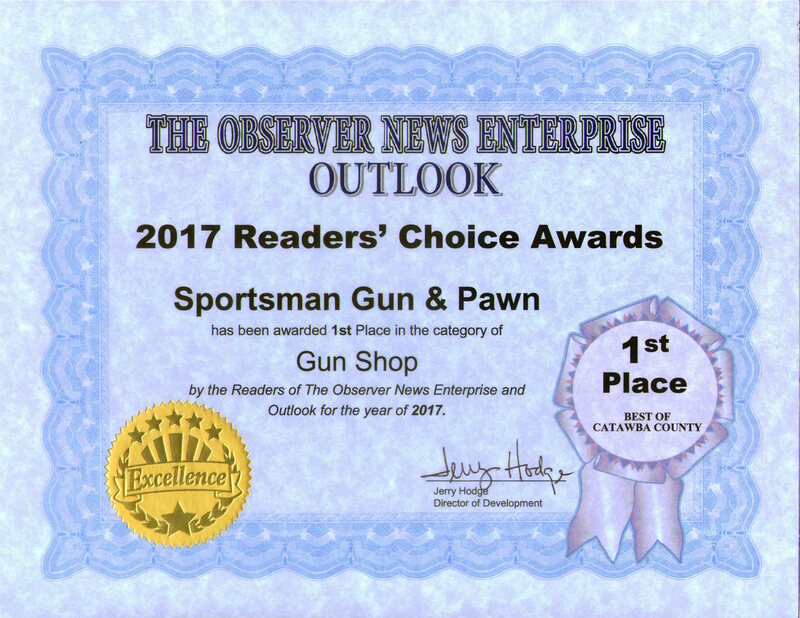 We stock and special order firearms and related accessories for hunting, protection, competition, collections, and sporting. Our experienced personnel assist the experienced shooters with new purchases; as well as guiding the novices in selecting their first weapons. We welcome the ladies as well as the gentlemen.